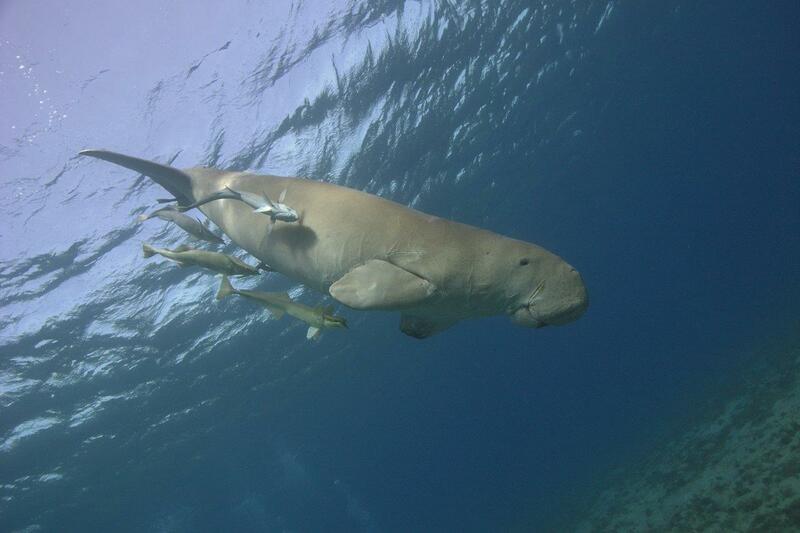 Why did TENDUA choose the Egyptian Red Sea Dugong? Fascinated by the submarine fauna, we made numerous visits to Egypt. With TENDUA, it seemed evident to look closer at the situation of the fauna, and the flora of Egyptian Red Sea. Egypt has experienced a considerable development in tourism over the past thirty years, in particular, the coastal region of Hurghada. If this development in tourism has generated positive economic outcomes in the short and medium-terms by creating jobs and new activities, the consequences on the fauna and the flora have been (are) harmful. 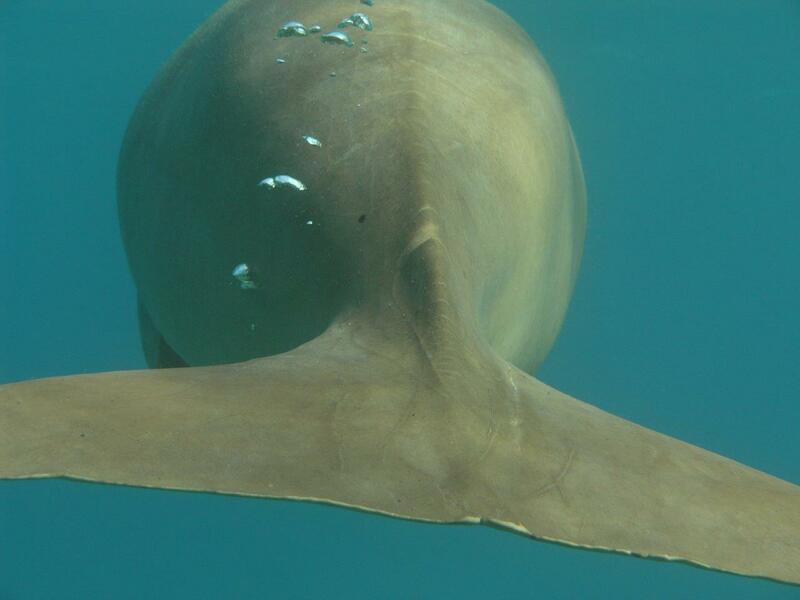 Dolphins and sharks are well known by the public but the dugong is a rather retiring animal. It is however a key indicator of the state of its environment: in the swallow waters along the Red Sea coast. This is why we have become interested in the fate of the dugong. There is a clear urgency because the population of dugongs is declining. Dugong (Dugong dugon) is a marine mammal of the Sirenian order. The Sirenian order is divided into two families: the Trichechidae with 3 species of manatees and the Dugongidae and its unique representative, the dugong. The Dugong is today the only representative of its family since the disappearance in the XVIIIth century of the Rhytine of Steller (Hydrodamalis gigas), an animal whose only defence was its enormous size (8m longand 11 tons) and was quickly exterminated by man less than thirty years after its discovery. 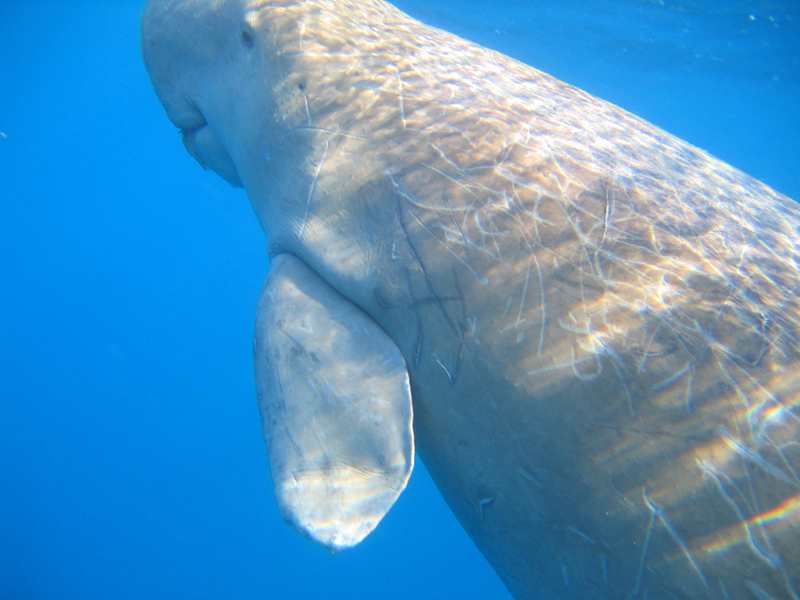 What do we know about dugongs? 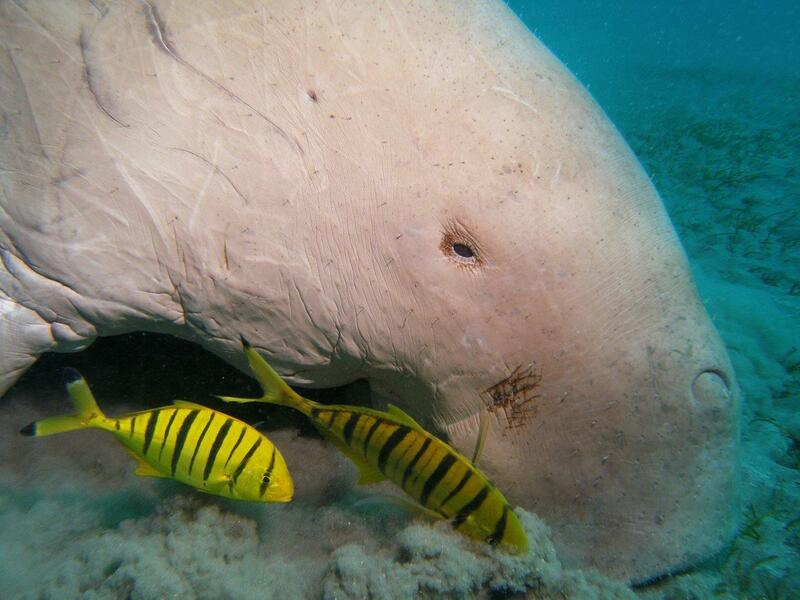 The dugong is a quiet animal with no defences, except its impressive size. Certain individuals can reach 4 meters long with a weigh up to 900 kg. 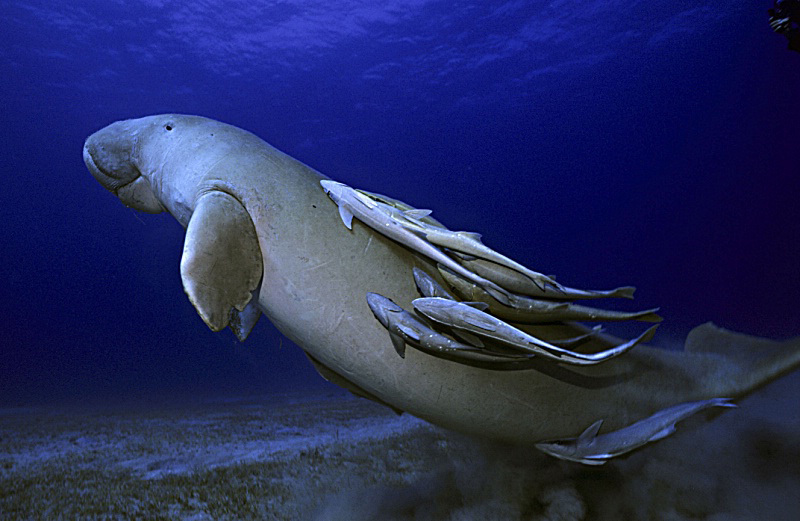 The Egyptian dugong is usually up to 2.50m-3m and up to 500kg. It generally lives alone or in small groups and frequents open water coastal habitats. They may also live in wide shallow mangrove channels and in the lee of large inshore islands. 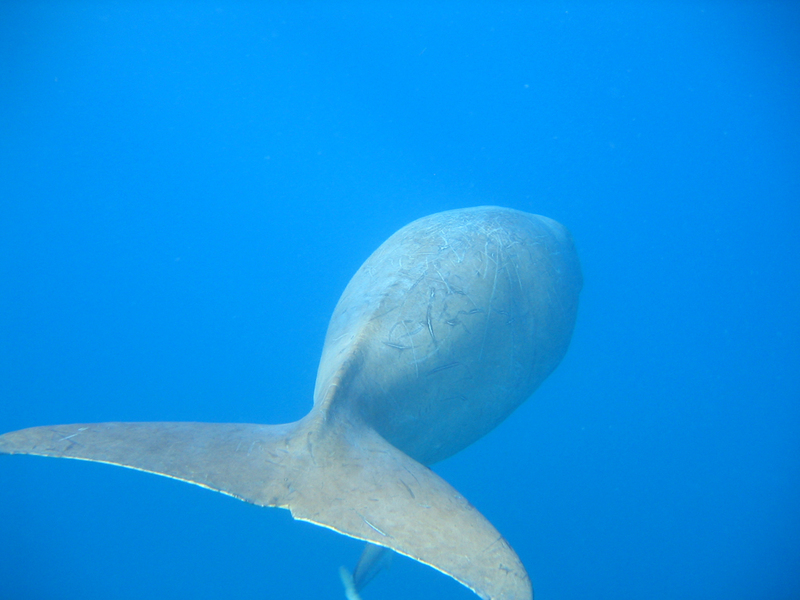 Dugongs are also regularly observed in deeper water further offshore in areas where the continental shelf is wide, shallow and protected. 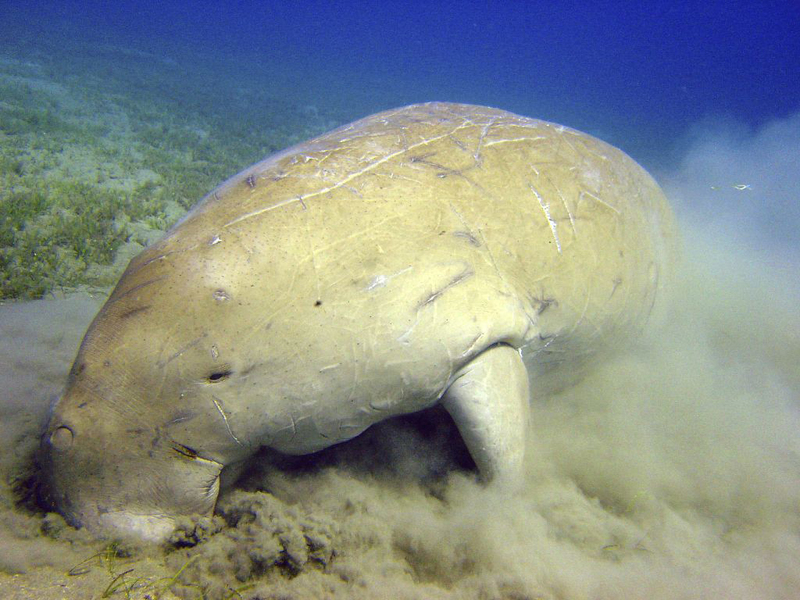 Dugong is the only marine mammal to feed on zoster’s (marine plants) living on sandy shallow bottoms. Sirenian are sometimes called “sea cows”. 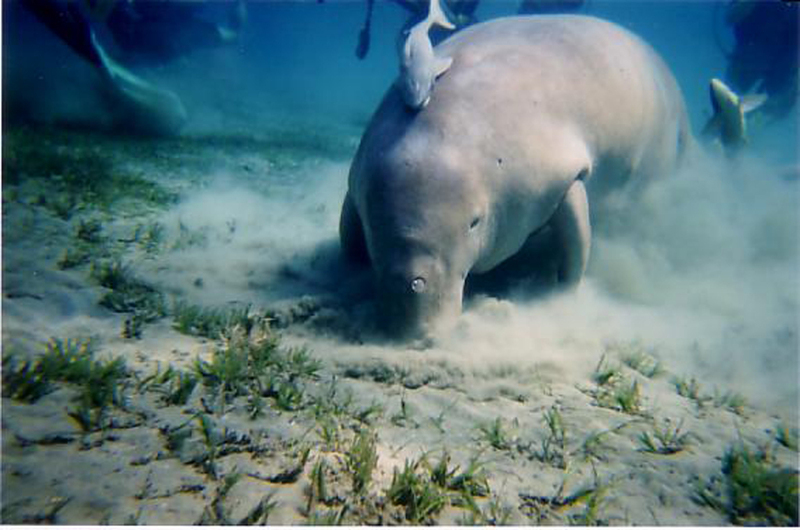 To breathe, the dugong has to surface. Its apneas owed long minutes. When it inhales, it emits a relatively noisy kind of “phaaa” sound. To communicate, Sirenian emits small shouts. 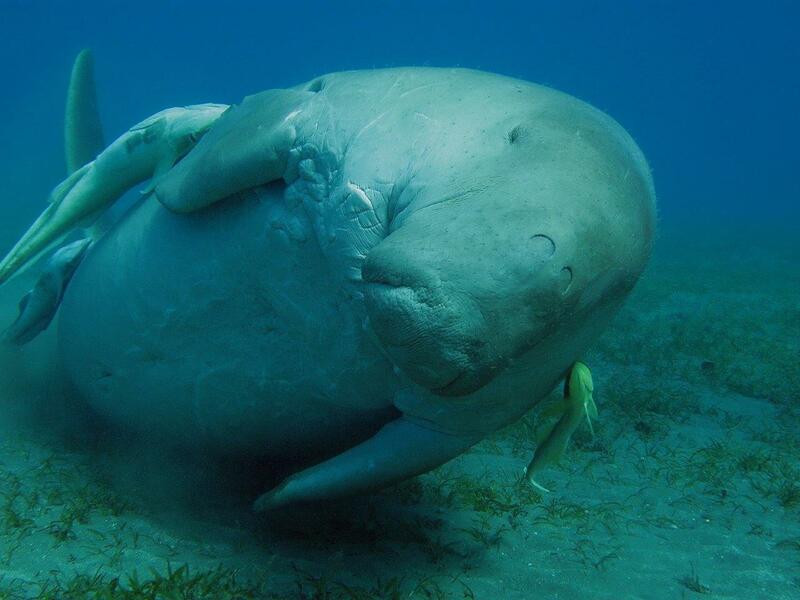 We still ignore how they do, as dugongs have no vocal cords. 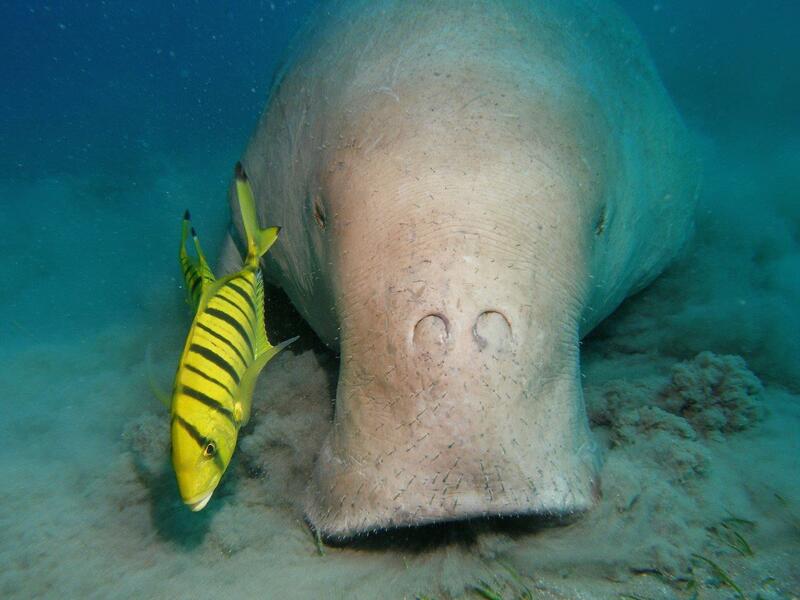 Dugongs make chirp and bark-like sounds, in mother-calf communication and during mating. It is believed that infrasound, which is sound below the human hearing limits, is also used. Their life expectancy is estimated at around 30 years. They reach sexual maturity at about 10 years old, age to which appear at the male two defences which are in fact two modified incisors. 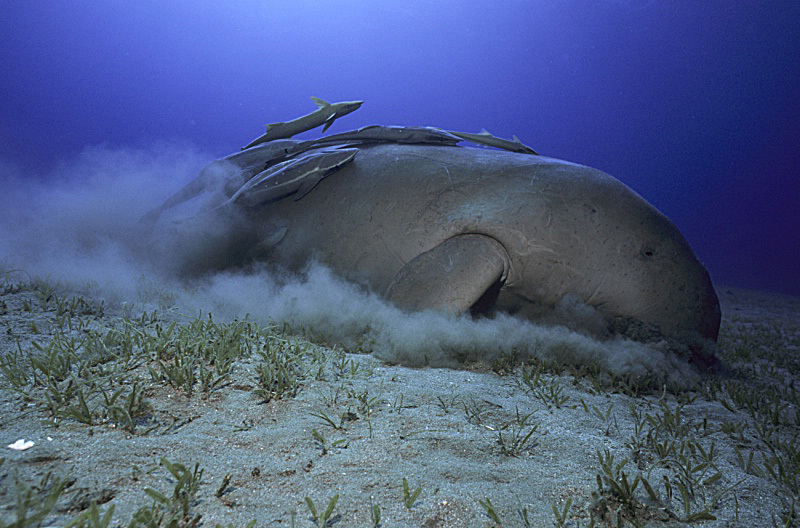 In the mating period that occurs throughout the year, male dugongs become aggressive and compete violently for females, trying to embrace them and mate. This could explain the scars that appear on the back and sides of the female. The period of gestation lasts 12 to 13 months and the female gives birth to its calf that will be independent after approximately 2 years. During this period, the mother teaches its calf the principles of migration as well as the location of places to feed. The female can reproduce every four or five years. We can consider that a female will have no more than 4 or 5 young during her life. 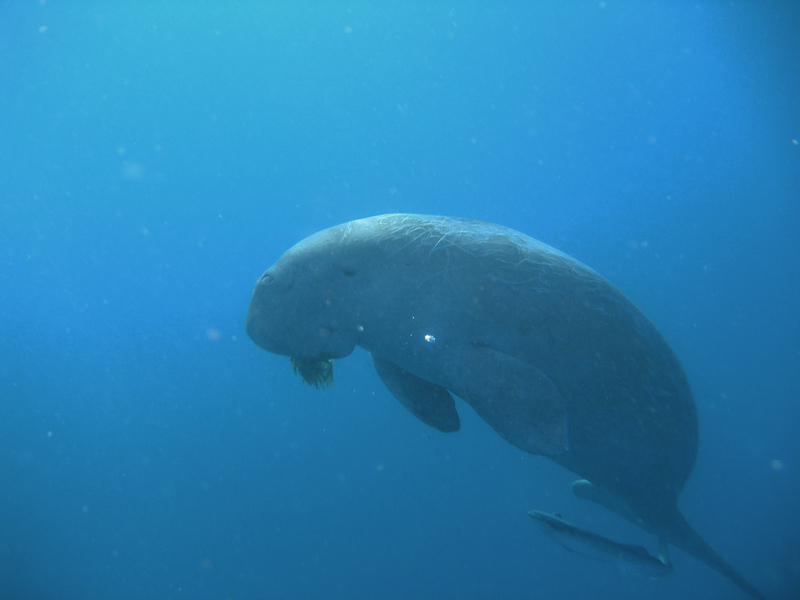 The dugong thus has an extremely low reproductive rate. 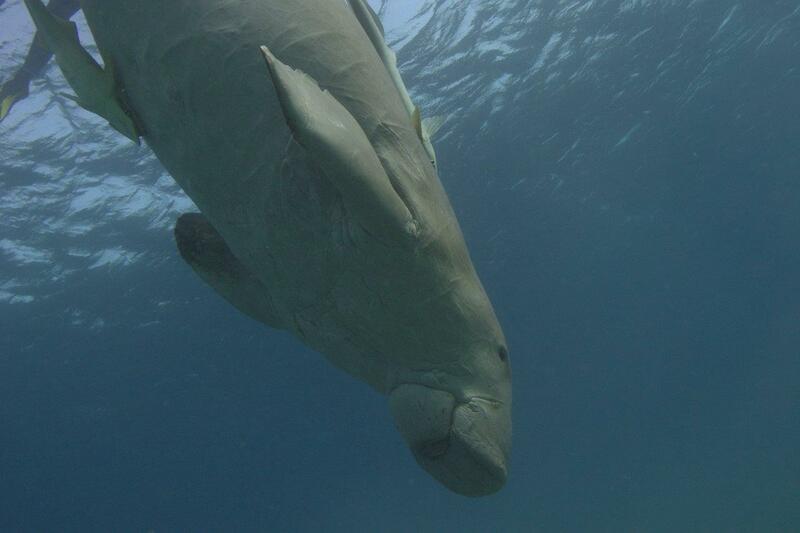 The dugong swims with slow movements of its tail. The average speed is 10 Km/h, which can be doubled for short distances, in case of danger. VHF or satellite transmitters in Indonesian and Australian waters have tracked the movements of 60 specimens. The longest movements are normally due to climatic reasons, such as the need of warmer water in the winter season. 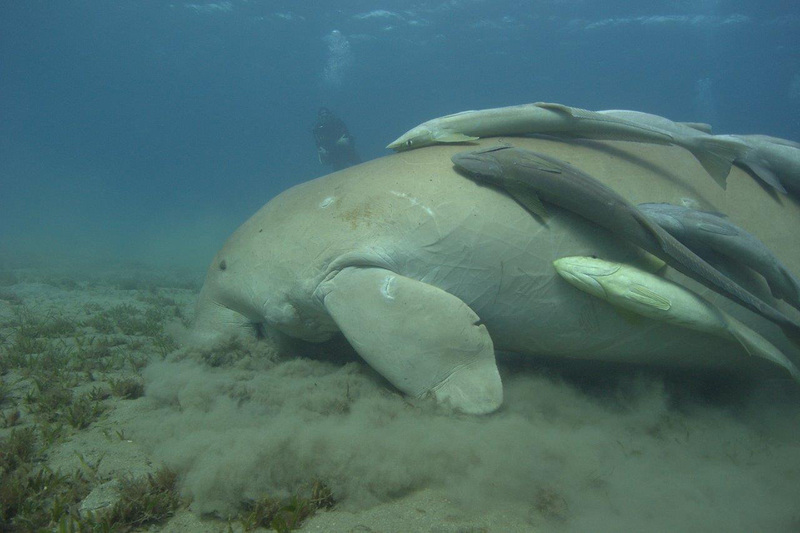 In Queensland (Australia) it has been observed that many dugongs make daily round trips of 15-40 km, to go from the shallow water where they feed to the open ocean, where water temperature is 5°C warmer. Daily movements depend also on tidal amplitude: a large tidal range normally means longer trips. 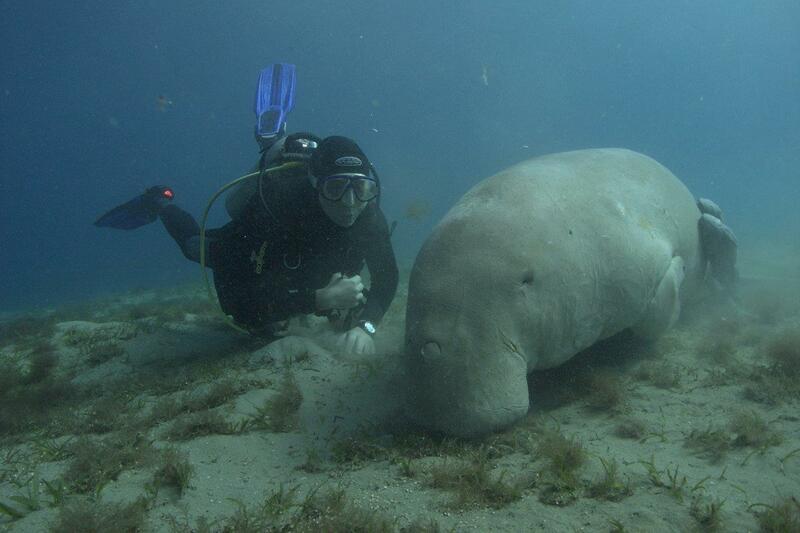 Sometimes dugongs have to wait for a water depth of at least 1 meter to get back into a bay or lagoon. Very long movements have been tracked, some of up to hundreds of kilometers: a female crossed the Gulf of Carpentaria (600 km) in only 5 days. 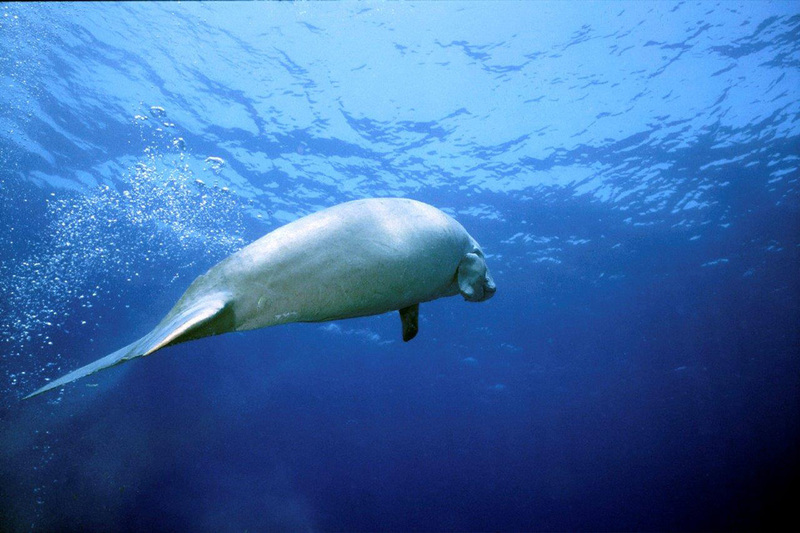 In 2001, after many years of absence, dugongs have been spotted again in the atoll of Aldabra (425 km from Madagascar). They have been seen in the large lagoon and near the ’Main Channel’, Northwest of the island, not far from the local scientific station. This demonstrates also that the dugong has the capacity to cross deep ocean trenches (more than 4.000 meters deep), making very long migrations. This information indicates that the management of the protection of this species is an international responsibility, not only limited to those countries where the dugong is living today. As a matter of fact, the dugong is one of the most threatened marine mammals. Although officially protected and placed in appendix 1 of the CITES , the species is classified “Vulnerable” by the IUCN . The most important, and considered stable colony has been followed for more than 30 years in Australia. However, for the other populations from East Africa to Vanuatu (27° Latitude North to the South of Ecuador - see Marsh et al. 2002), there is no or not enough information available, or the information is unreliable. 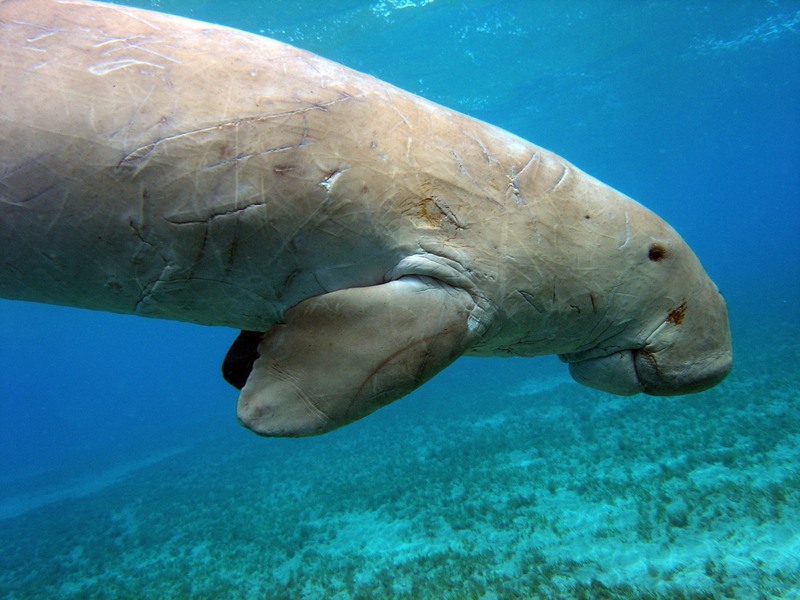 The dugong has already disappeared from the Maldives’ Islands, Mauritius (Rodriguez), and Taiwan and from certain parts of the Persian Gulf. 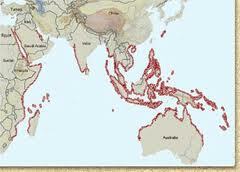 The dugong has an area of distribution today that goes from the Red Sea to the islands of the Southwest Pacific ocean. Around 1000 in New Caledonia. These figures are the result of various studies published on the Internet. All the data is some years old and therefore necessary to consider them only as a rough guide. Things being what they are, the general trend is that the dugongs’ population is in decline. 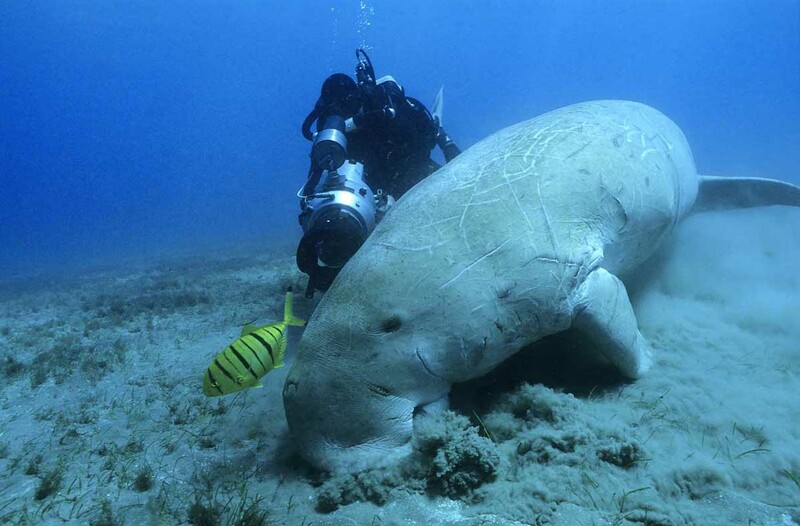 Where to find dugongs in Egypt? The last scientific survey used to identify dugong distribution, the relative abundance and the threats on dugongs in Egypt’s Red Sea during 2001, 2002 and 2003 was made by Professor Dr. Mahmoud Hanafy. Since then, no scientific survey or any other study has been undertaken in Egypt. During this period, the survey ranged from Hurghada to El Shalatin (200 km north of the Sudanese border). 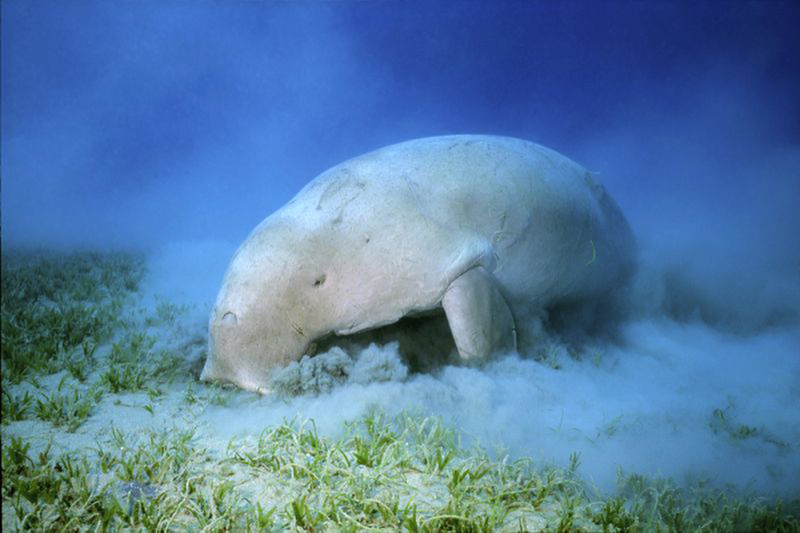 The number of dugongs was between 12 (in 2001 and 2003) and 17 individuals (2002). Statistically, during summer more animals were seen than during winter. Two hypotheses, which are not mutually exclusive, could explain this variation. 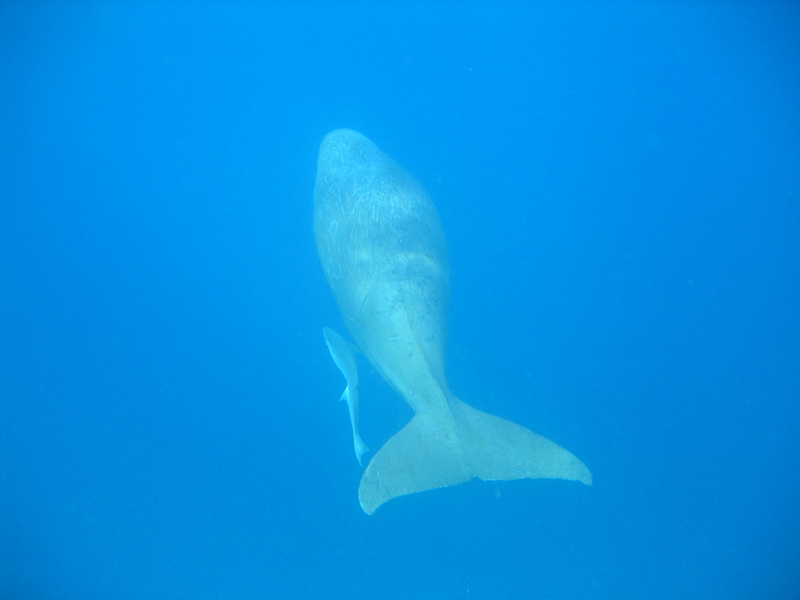 On the one hand, dugongs migrate to warmer waters during winter, on the other hand, the winter sea conditions made the observation more difficult. Visual surveys are problematic. 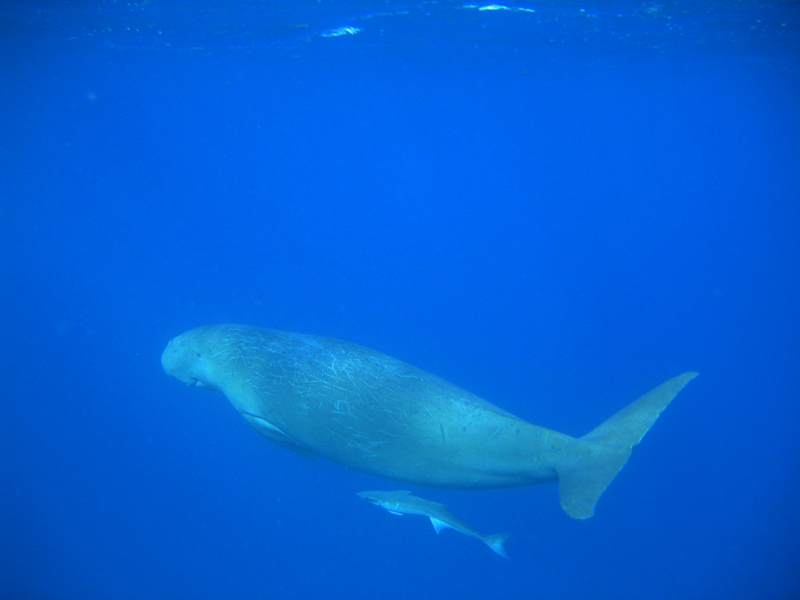 The probability of finding dugongs depends on several factors, such as the experience level of the observers, weather conditions, and water clarity. An additional weak point of visual observation is that it cannot be performed at night. The conclusion of this scientific survey was that the threats to the species in Egypt were at that time (already) loss of its habitat, i.e. seagrass meadows and mangroves, fishing nets and boat strikes. These main threats are anthropogenic impacts. As already stated, seagrass meadows are the domain of dugongs. Their main activity is to feed and their daily needs are estimated at 30 kg of food. 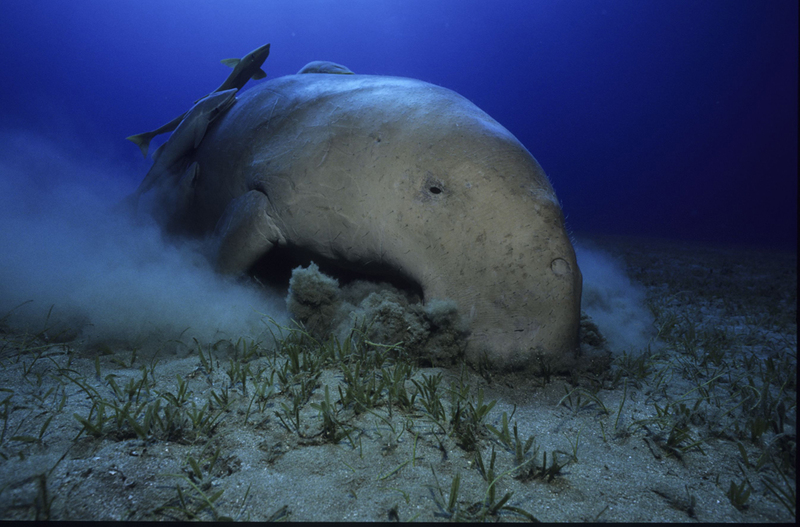 Dugong method of feeding is by moving with its short flippers, making clouds of sand while filtering the food and leaving recognisable feeding trails in the seagrass beds. We don’t know what affect the movement of tides plays in the hours of feeding. 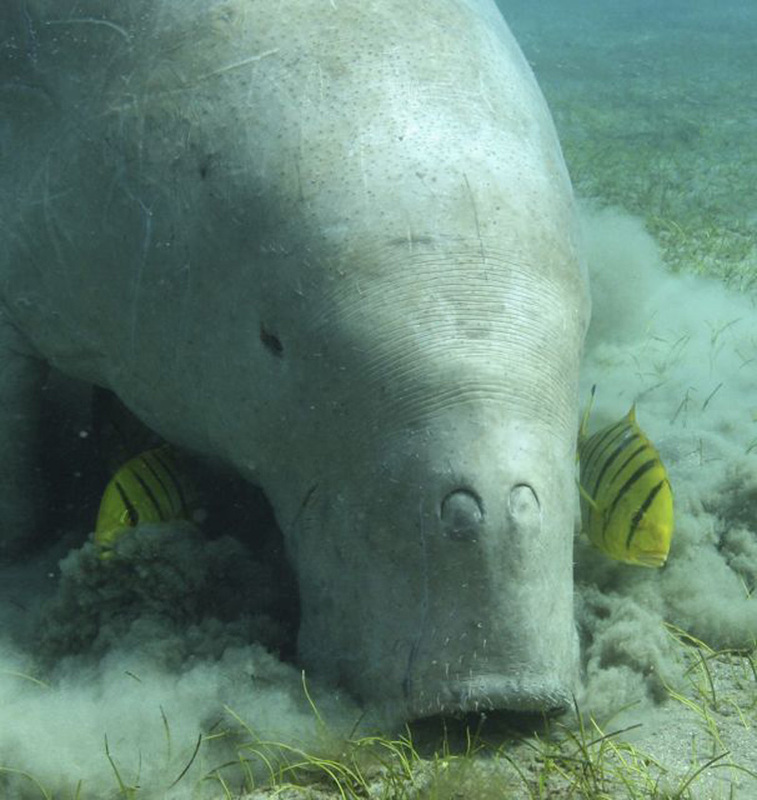 The dugong’s fecundity is very sensitive to the availability of its seagrass food. 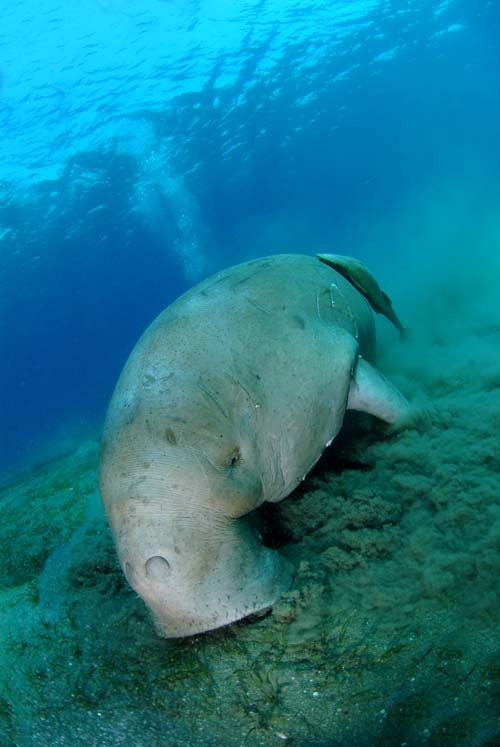 When dugongs do not have enough to eat they delay breeding, making habitat conservation a critical issue. 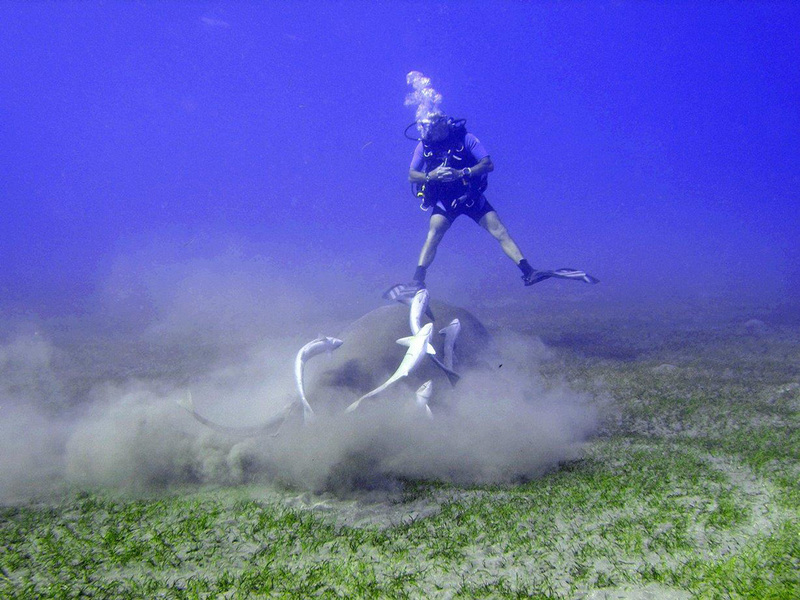 Seagrass meadows are very sensitive to the human interference. 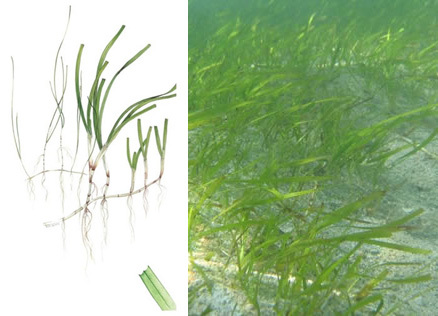 Indeed, processes such as fishing with nets, dredging, search for raw materials and the other processes, move sediments, which prevents the light from reaching seagrass that heavily restrict their growth. 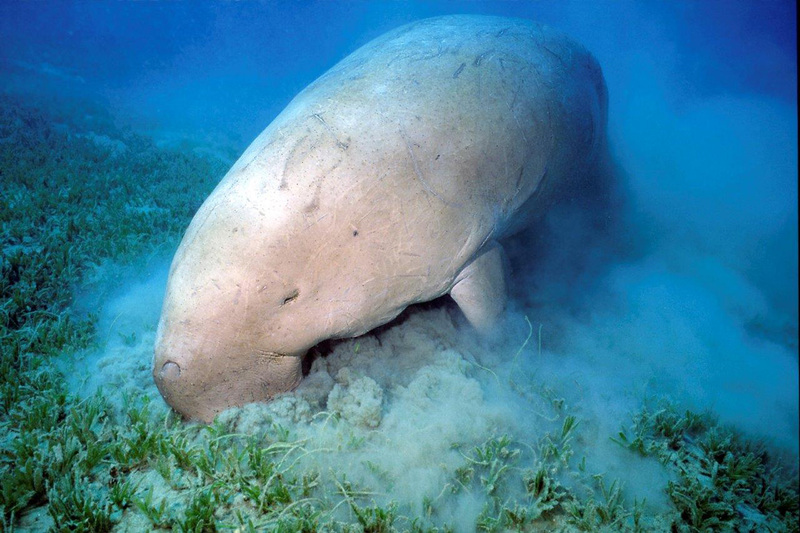 Preferring the quality to the quantity, dugongs are very selective with their diet, choosing highly nutritive and easily digestible herbs such as Syringodium isoetifolium, Halodule uninervis (rich in nutrients but poor in fiber), and Cymodocea serrulata. 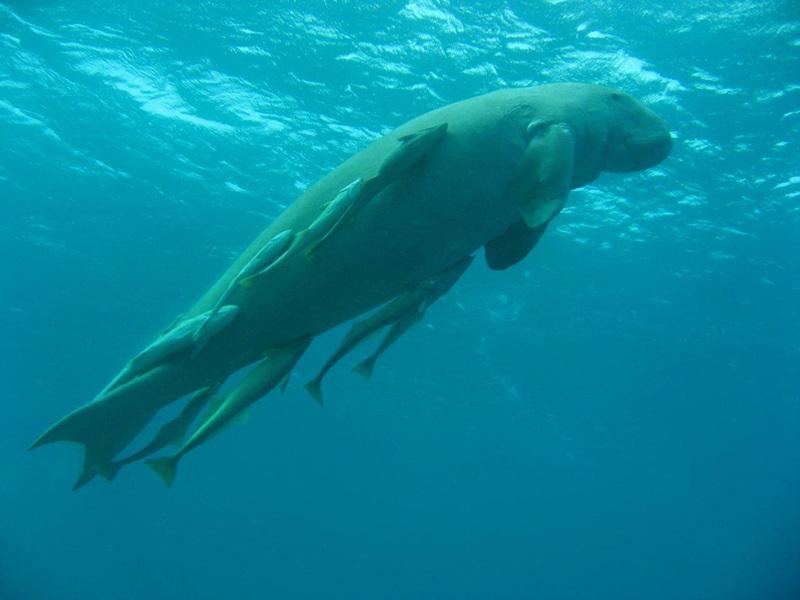 Why is the Dugongs’ population decline? The habitat loss: the urbanization of the coast with tourist complexes has generated pollution during their construction but also with their exploitation (wastewater disposal, management of the waste, etc.) and the degradation of the coastal resources. 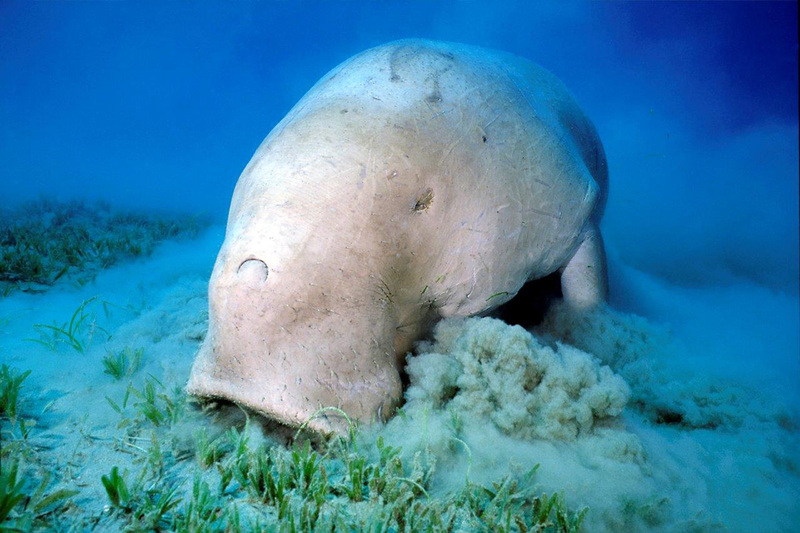 That impacts directly on the natural habitat of dugongs. 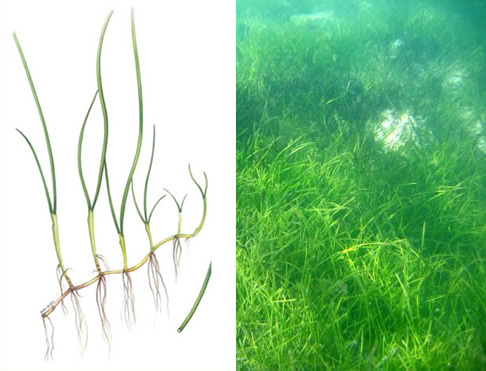 Indeed, seagrass meadows tend to be considerably reduced, and have even disappeared totally in certain regions. 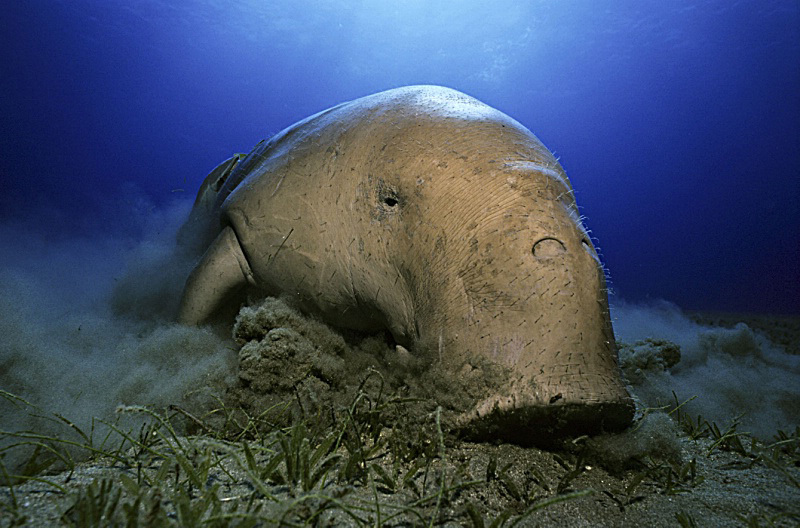 The environment necessary for dugongs is a rich ecosystem which also attracts green turtles (Chelonia mydas) classified as “endangered” by the IUCN, hawksbill turtle young (Eretmochelys Imbricata) and a large variety of small invertebrates and fish species, as well as the young of shrimp and pelagic fish, elasmobranches such as guitar-rays, rays and sharks. Fishing has been developed to ensure the tourists have their grilled fish. 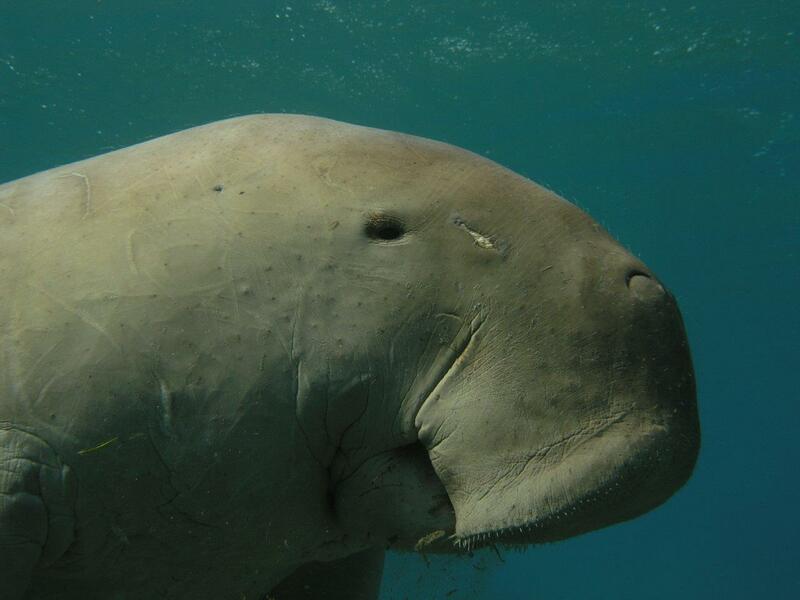 Boats and fishing nets are real traps for dugongs. The animal tangles itself accidentally in nets and drowns, not being able to reach the surface to breathe. Boats and fishing nets are real traps for dugongs. The animal tangles itself accidentally in nets and drowns, not being able to reach the surface to breathe. 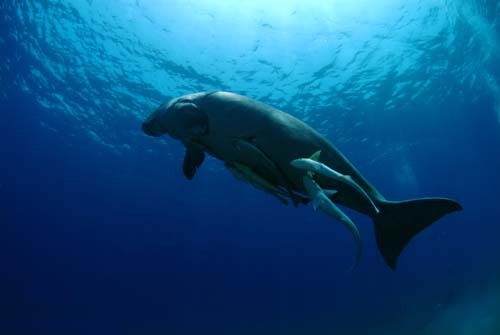 Hunting for its meat, even though it is forbidden, is also responsible for the dugongs’ disappearance (no longer permitted in Egypt). Even a slight reduction in adult survival as a result of habitat loss, disease, hunting or accidental drowning in nets, can cause a chronic decline. There are 3 main reliefs along the Egyptian Red Sea coast are marsa, sharm and ras. Marsa is a natural place where you can moor a boat; build a pontoon because the reef allows it. The reef breaks off leaving the place to a natural beach. It is the case of sites such as Marsa Shagra, Marsa Abu Dabbab and Marsa Shuni... Approximately 35 marsa exist from Hurghada to the Sudanese border. There are also 17 sharm or “camel’s lips”: they are bays where the reef forms a “V”. These bays are interesting for the developers but it is not possible to build a pier there without breaking the reef. Ras (means “cape” in Egyptian) are overhangs on the sea such Ras Toronbi, Ras Samadaï and Ras Banas. Expanding tourist resorts, hotels and diving clubs are found along all the coast of the Hurghada region, which extends 25km North from the recent city of El Gouna, built around ten years ago on the lagoon (“gouna” mean “lagoon” in Egyptian) and down to 65km South to Port Safaga. Eighty more kilometers South, there is the city of El-Quseir, a former fishermen’s village which is now very oriented on tourism. Finally, 135 km further south, is Marsa Alam, approximately 270 km from Hurghada. Marsa Alam is now graced with an international airport, to the delight of divers. However, it is only the prelude of a scheduled tourist development. And here is the ‘rub’. The Egyptian Ministry of Tourism plans to reach 240,000 accommodation rooms in the region of Marsa Alam. The Government is selling by “lots” the land down the coast to developers who have to build resorts or risk having their acquired lot removed. It is therefore impossible to simply buy a piece of coast to protect the reef and all the adjacent ecosystems. Regrettably, the reef could support no more than 78,000 rooms. This figure itself seems already to be enormous, but it is the compromise the partisans of the environmental protection are reluctantly willing to make. HEPCA  leads this fight together with the affiliated diving centres, in particular the Wadi Gimal Diving Centre and the Red Sea Safari who promote a much more respectful view of its environment and opened 3 eco-lodges in the Bedouin tradition in Marsa Shagra (20 km North of Marsa Alam), in Marsa Nakari (18 km South of Marsa Alam) and 120 km South to Marsa Alam, the Wadi Lahami camp. 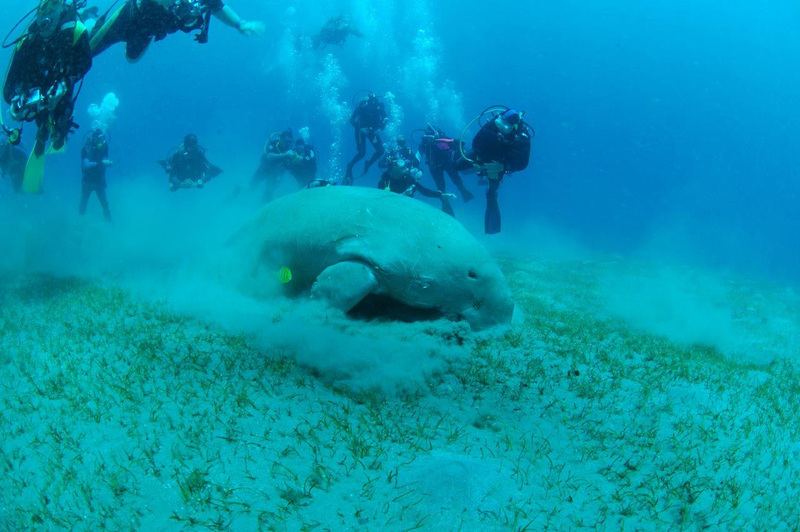 As the objective of the TENDUA project is the protection of the dugong living in Egypt’s Red Sea, TENDUA got in touch with HEPCA and the 2 diving centres established in the zone of Marsa Alam, where dugongs are generally observed. The three fields of intervention of HEPCA are the scientific research, the concrete actions on the ground and education via communication. As discussed with HEPCA, the TENDUA Dugong project can join a scientific wider study than HEPCA is leading: “Survey and monitoring of the Red Sea large fauna” centred mainly on cetaceans and led by three Italian biologists over a three-years period (the first two expeditions took place in 2010, in May and August, where no dugong were observed). 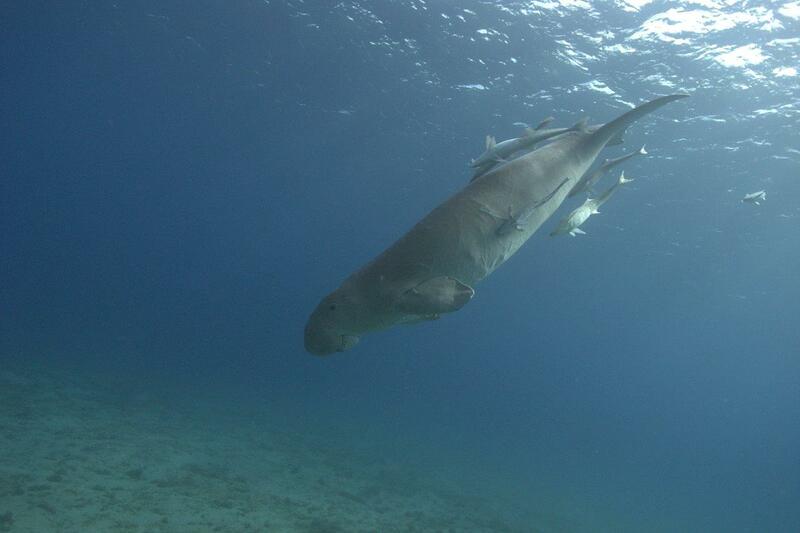 The first stage of the DUGONG project will be the collection of observation data as described below. 1. 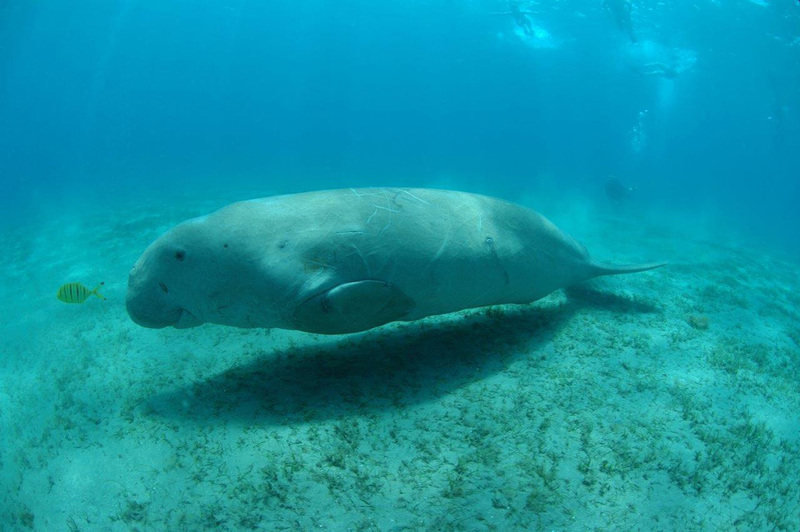 One of the first measures envisaged collectively is the creation of a database to identify the dugongs. To do so, TENDUA has produced an identification sheet, which was passed on to their sponsor, the French tour operator, diving specialist, AQUAREV ’. Some 2000 divers address annually AQUAREV’ to dive in Egypt. Since this summer, divers receive in addition to their travel documents, the dugong identification sheet in case they experience an encounter with dugong. The detailed information is important because this will allow to enrich the database: besides a photo, it is necessary to specify the date of the encounter and the hour, the place, the number of individuals, the attitude (feeding or mating, for example), and quite other characteristic marks, such as a scar on a pectoral or caudal fin or any other information considered interesting. The completed investigation will have to be returned to the association TENDUA with the pictures relative to the observations. The diving centres of the Red Sea Safari and the Wadi Gimal Diving centre also received the identification sheet. 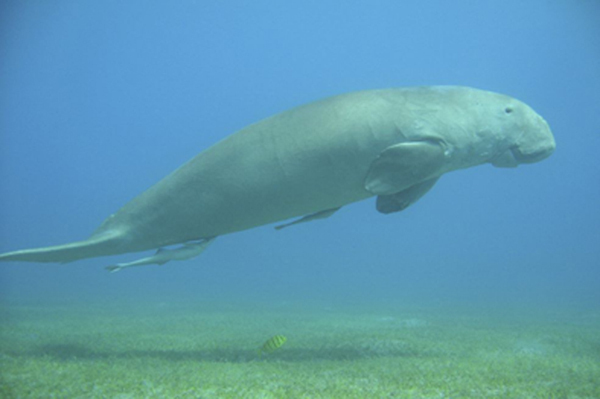 They agreed to indicate the occurrence of dugongs with an objective of estimating the population and protecting of the natural habitat of the animal. 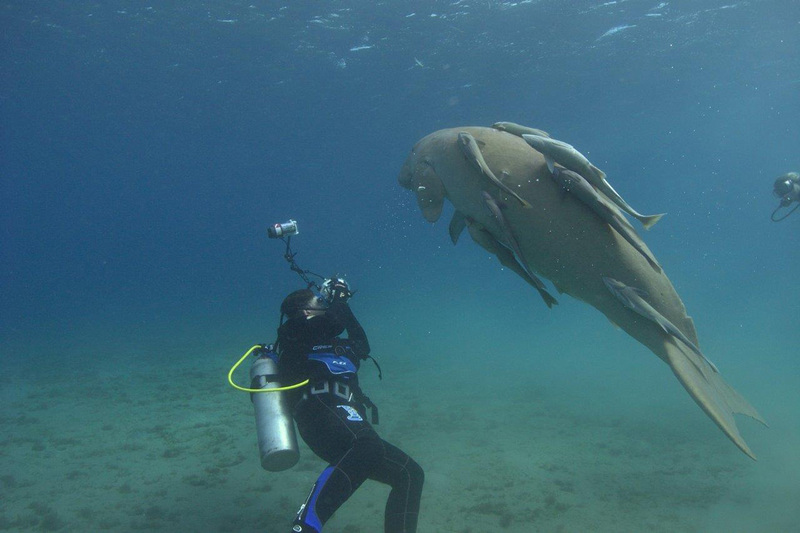 Notwithstanding the occurrence or the absence of dugong, it is important to communicate the danger of its disappearance from Egyptian waters. To be able to observe the dugong in its natural habitat requires luck today. 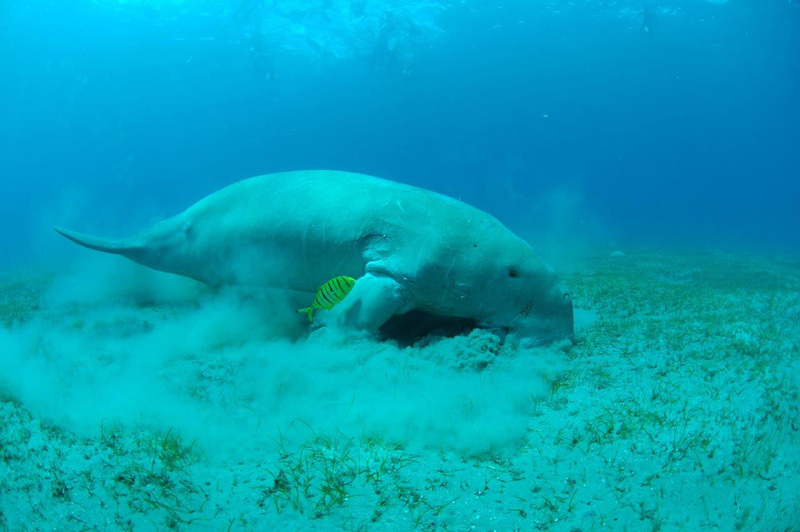 However protecting and preserving the species cannot be a pretext for tourist hoards harassing dugongs as it has been observed in Marsa Abu Dabbab. Naturally, we would like to see more of these animals and to make sure future generations are lucky enough to encounter this animal too. But being interested in this species also gives the opportunity to highlight in a more global sense the relationship between mankind and nature. Nature should not be considered as a resource, as it is considered by most of the humanity today. Nature is much more than that: it IS our environment and our origin. Our modern societies have lost what connected us harmoniously with our common origin, including the respect due to Planet Earth. Can we consider the environment as a resource? Then, the question is: how can it be done? The first step is most probably the modification of awareness and thus behaviour of each of us with regard to this nature that we need so much because all of us enjoy to immerse ourselves in its contact, whether it is a day at sea, few hours in the forest or in the mountains … If these behavioural modifications start at first with each of us as individuals, it will be possible then to find new and different solutions and ways of acting: we are always stronger and more creative when we work together. But the work to be done is, at first, an “inside job”: as Voltaire wrote, “It is necessary to cultivate our garden” … So, what each can choose to do is to reconsider their personal relationship to nature. And this is why the DUGONG project is an opportunity of raising awareness. Those who were lucky enough to share an encounter with this animal are fulfilled. 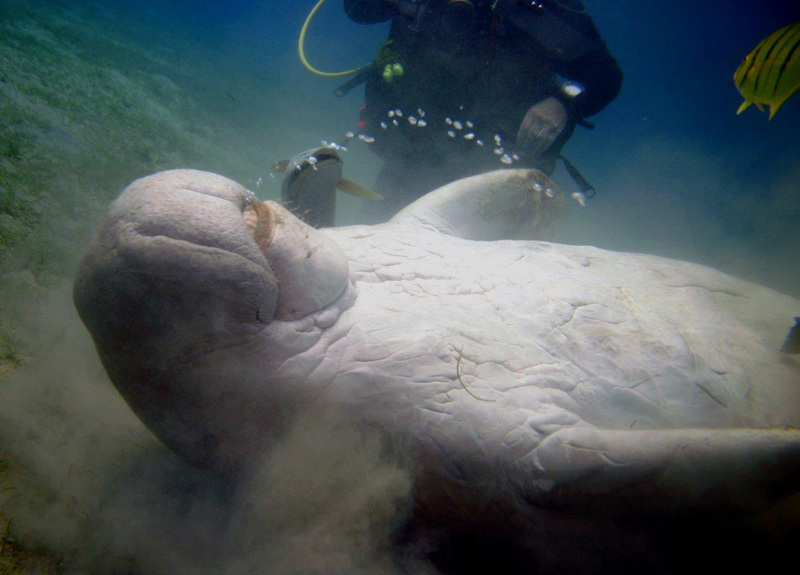 As for those who have not seen dugong yet, at least the dream is still possible … The most important is to understand that its disappearance from the Egyptian coast will enrich nobody. Worse still: it would be the impoverishment of our dreams, but also very certainly the disappearance of an ecosystem. Certainly, species’ disappearances are a part of evolution but in this case, it will not be the effect of an evolution of nature, but the responsibility of humans. Now, as humans we are capable to choosing, each can intervene against what seems inevitable. Because a level of awareness allows understanding of a different angle of what takes place and also allows speaking about it around us. To those who the original arguments leave cold, a speech with concrete figures has been adapted. 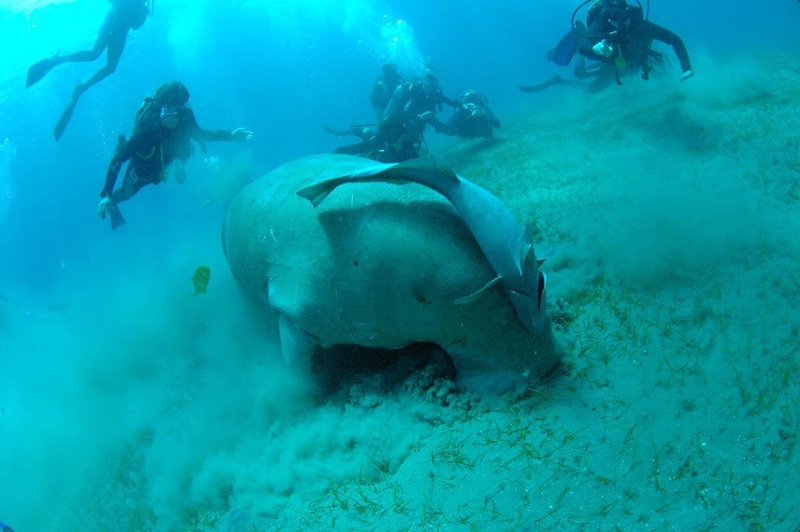 The number of divers and snorkelers in Marsa Abu Dabbab allowed considering income generated by a one living dugong as $18000 in 2007. 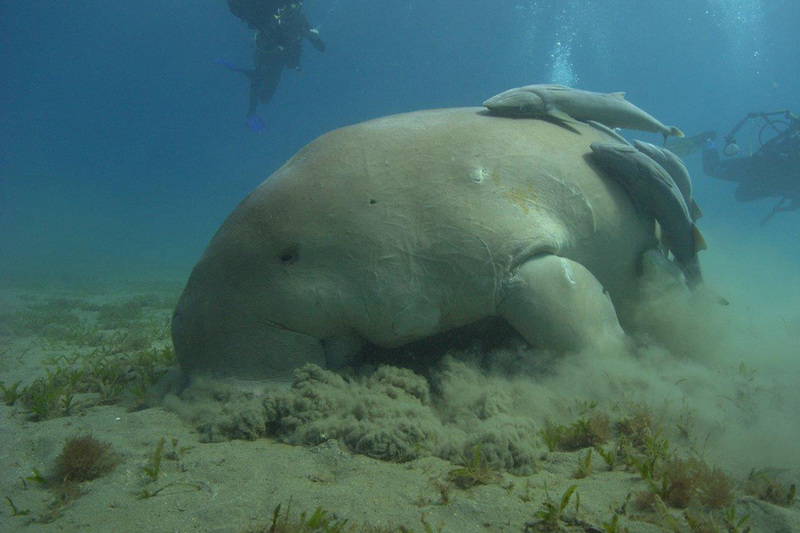 Maybe can we obtain, for the tranquillity of dugongs, the extension of the protected marine area of the Wadi Gimal nature reserve , as well an increasing the numbers of rangers? 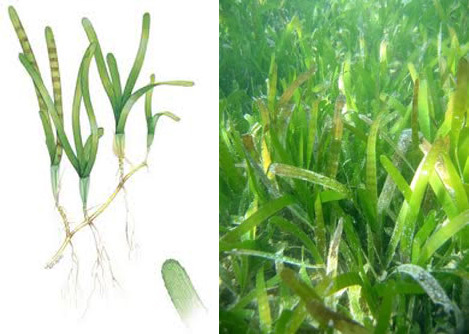 And why not, the interdiction of building where seagrass meadows have been identified? on our choices and on our will. 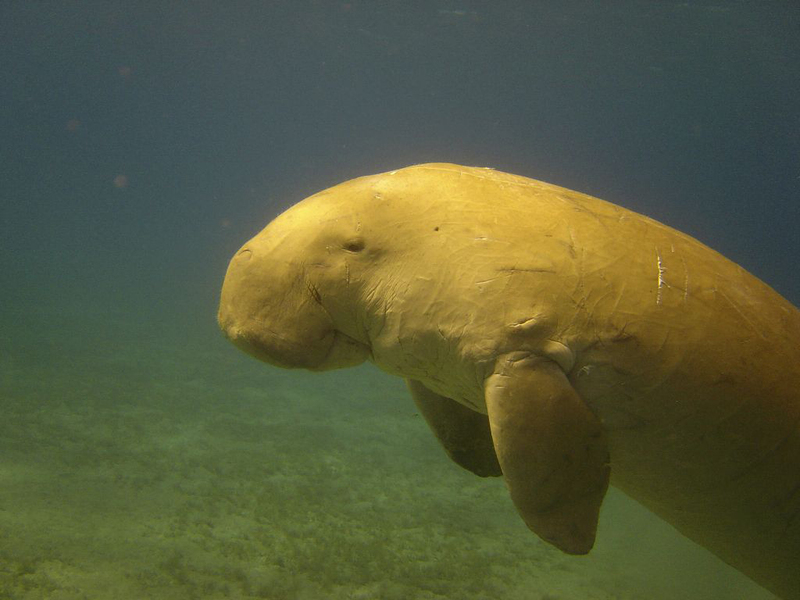 In view of the multiple impacts to which dugong populations are subjected, we suggest as a possible conservation strategy to extensively involve the local community (including also divers and tourists) and jointly consider how the adverse impacts on dugongs can be minimized and their habitat protected (Ideally this should be done in the context of comprehensive plans for coastal zone management). These protected marine areas, following the example of what has been done in neighbouring countries of Egypt, can be opened to the ecotourism accounting for the dates of reproduction and movement of animals, in particular for the newly created nature zones. Furthermore, Egypt is a country of the Middle East in the forefront of the protection of biodiversity by making of Dugong the emblem of the Egyptian coast of the Red Sea.